Today we are excited to announce and highlight several tooling improvements for developers building solutions that are using Azure IoT Edge. For your IoT solutions, Azure IoT Edge moves cloud analytics and custom business logic to devices so that your organization can focus on business insights instead of data management. Learn more about Azure IoT Edge in this overview article. In this blog post I will highlight the latest improvements in our developer tooling. Install the new extension and the required prerequisites. Open Visual Studio 2017 and go to File > New > Project. 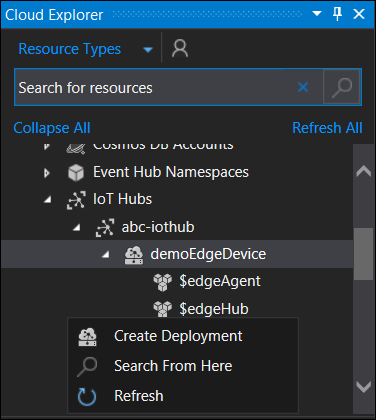 Under the C# category, select “Azure IoT Edge Project”. Now you are ready to run your first Edge module and see data flowing through the solution thanks to the simulator that comes with the extension. To see this in action set a breakpoint in file Program.cs in method PipeMessage() and hit F5. Learn more about the new Visual Studio 2017 extension for Azure IoT Edge. 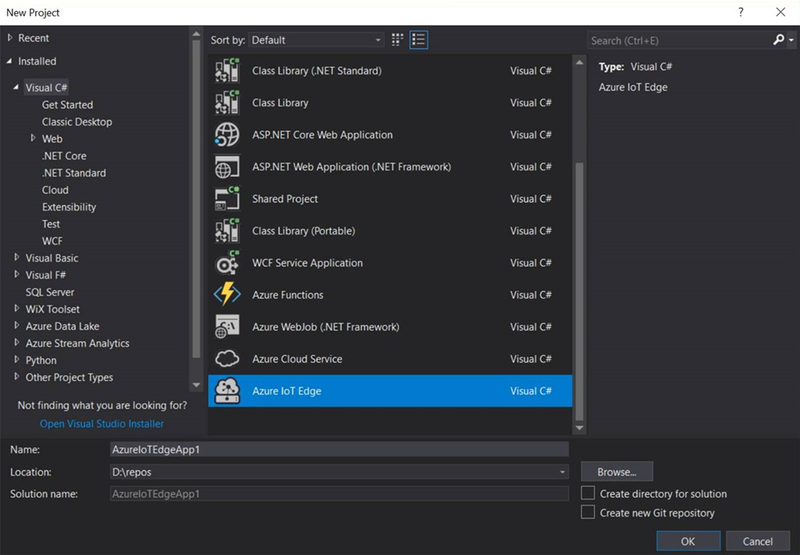 Build Azure IoT Edge modules in C#, Python, Node.js, C or Java, or C# Functions. Push modules to Azure Container Registry or other registries of your choice. Build Linux containers or Windows containers. Deploy to individual IoT Edge devices or deploy to multiple devices at scale. 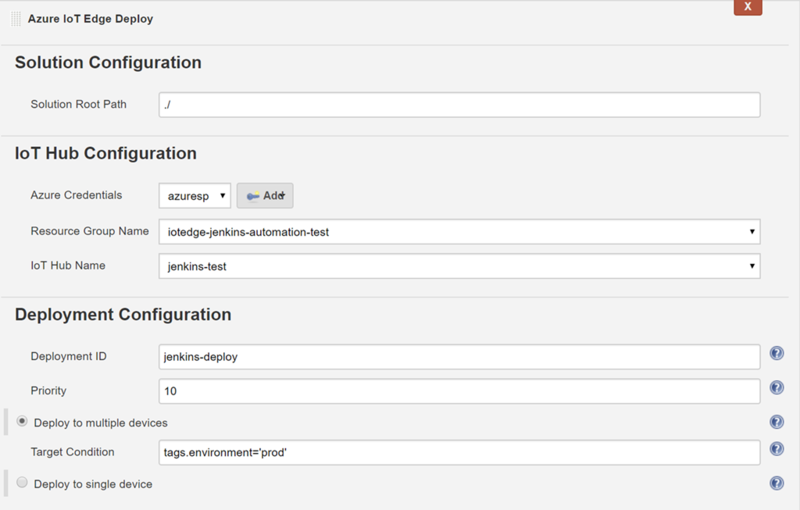 Learn more about the new Azure IoT Edge Jenkins plugin. IoT Edge Simulator for local testing and debugging on Windows, Linux, or Mac. Build Azure Stream Analytics modules. Build custom modules using C.
Build custom modules using Java, new in 1.3.0. Invoke module method in the context menu of module list, new in 1.4.0. 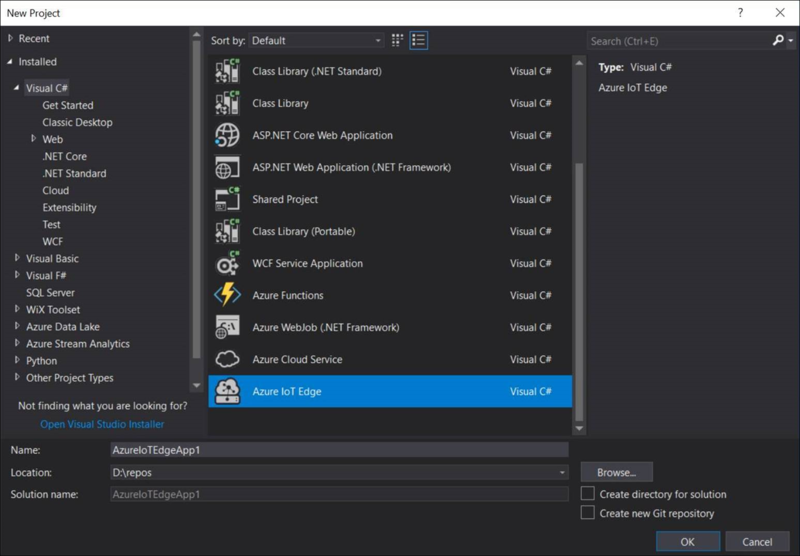 Learn more about the recent Azure IoT Edge Extension improvements for Visual Studio Code. To get started with the CLI, please follow this quickstart. For additional details visit the iotedgedev wiki and see this post.